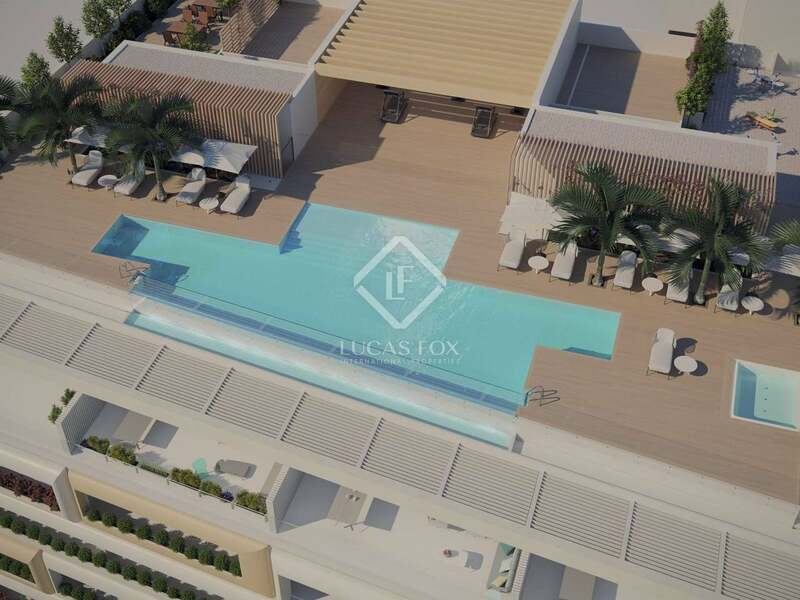 4-bedroom apartment with a terrace for sale in an iconic new luxury front line beach development in Estepona Town Centre. 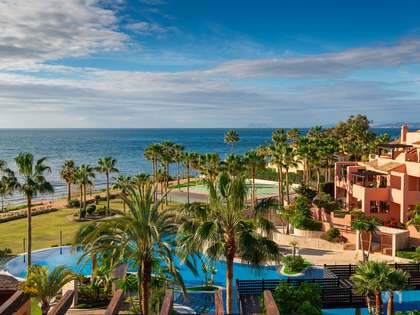 Fourth floor apartment in a brand new urban lifestyle development in an impressive landmark building with unique artistic and architectural features and 36 exclusive apartments located in the centre of Estepona on the beachfront and within walking distance of all amenities. 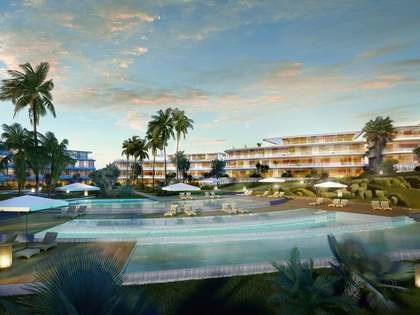 The development offers bright, contemporary luxury homes designed for privileged beachfront living all year round. 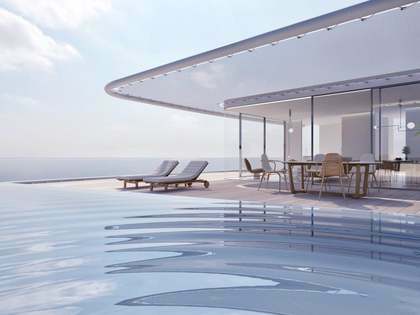 This apartment has a usable surface area of 193 m² plus 34 m² of terrace space. The property provides accommodation in a living area, 4 bedrooms, 4 bathrooms and a fully equipped kitchen. The bedrooms feature wooden flooring while the other spaces have porcelain floor tiles with underfloor heating. This property has a storage room and 2 garage parking spaces.